Leicester Tigers claimed a much-needed win in the Champions Cup, against a star-studded Racing 92, containing All Black greats Dan Carter and Joe Rokocoko. 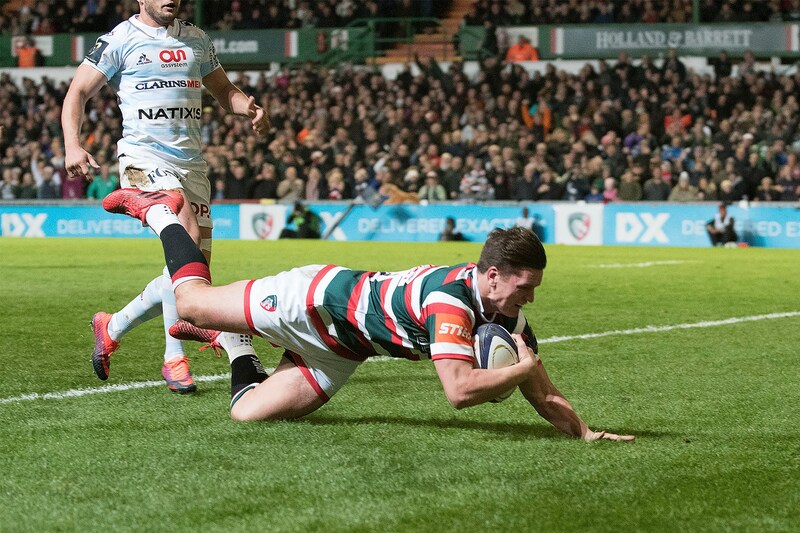 Freddie Burns, a second half substitute, came on to score 16 points that included a 70 metre intercepted try, as the Tigers beat last year’s finalists 27-17 at Welford Road on Sunday. Things got off to a good start as Brendon O’Connor scored an early try after the ball was worked through the phases, after a well-worked line-out deep in the Racing 22, scrum-half Ben Youngs found an unmarked O’Connor to touch down in the corner. Dan Carter replied through the boot after a penalty was conceded by lock Dom Barrow, who unfortunately was taken off injured after a clash of heads with one of his teammates. Racing continued to work hard but unfortunately were unable to cope with Tigers ferocious defence as they continued to probe for a way through. They were then punished by two Owen Williams penalties after a string of handling errors. The first half was marred by an injury sustained by home debutant Matt Toomua, with a knee injury. Tigers defence was breached just after half time, when Dan Carter showed all his world-class ability, throwing dummy passes and a solid hand-off to waltz through the Leicester defence, that was guilty of poor defending. Carter, converting his own try, cut the deficit down to just point. It then became the Freddie Burns show as he kicked two penalties and converted his try in six second half minutes to give the tigers some breathing space on the scoreboard. Tigers held on despite a late try from Argentinian international Juan Imhoff that was duly converted by the impressive Carter. A nasty clash of heads then ended Tigers industrious full-back Telusa Veainu’s night, who was knocked unconscious and had to receive treatment for some time just under Leicester’s posts. However, it was the Tigers who were to have the final word as Burns scored a penalty late on to seal the victory for the Tigers and get their Champions Cup campaign up and running.